Dendera is located on the west bank of the Nile about 20 miles north of Karnak. 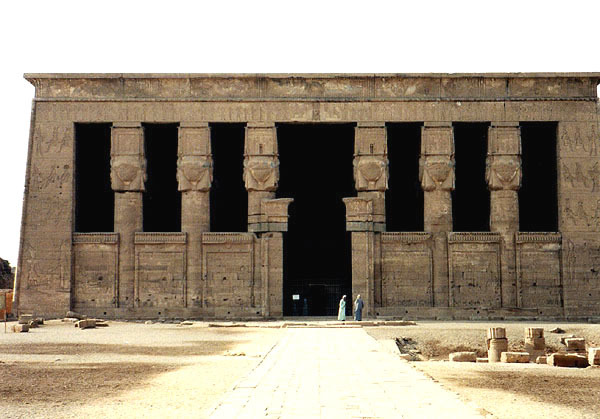 The temple of Hathor is mostly Ptolemaic, except for its Roman outer hypostyle hall (35 AD). The Hathor capitals on its facade were defaced in early Christian times. The Dendera site is quite old, but surviving structures are Greco-Roman in date; they include several mammisis, a sanitorium, and an early Christian basilica.